might explain his behaviour. In every situation there may or may not be extenuating circumstances but I have no expertise in the matter of domestic violence and am completely unqualified to make a call. That’s what courts are for. My interest in this case comes from the fact that it involves a politician and it therefore has ramifications on governance matters that are firmly in the public interest to examine and discuss. But there’s a point that comes before that: a question that precedes even the matter on what must Anton Refalo do now he’s facing charges of a criminal nature. And that question is how is it this matter has come so far? With all the talk of impunity for people in power, how does a Labour Party grandee not get away with a wink and a nudge? 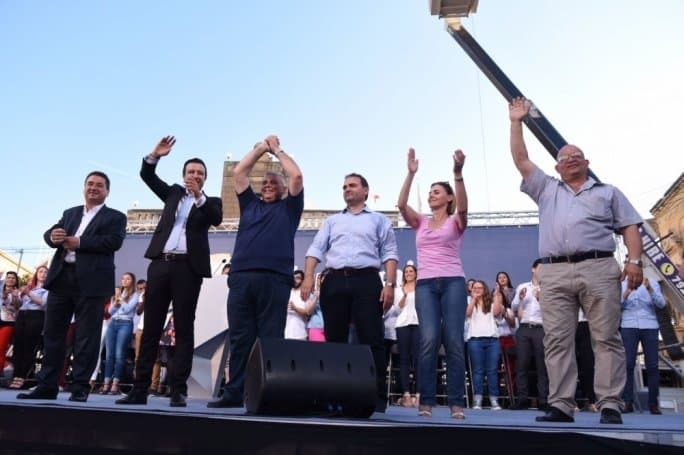 How is it that the same police officers who allow Konrad Mizzi and Keith Schembri to go about undisturbed in spite of evidence against them piled up at the FIAU, move to charge Anton Refalo with domestic violence? How is it that the same police officers who allow Chris Cardona to go about undisturbed whilst he’s caught lying about knowing and meeting the assassins of a journalist, move to charge Anton Refalo with domestic violence? To understand this play you must take a look at the list of characters. The criminal investigation department is headed by Silvio Valletta. He gets to decide when criminal investigations progress and when they don’t, when they lead to charges and when they don’t, when criminals face consequences and when they don’t. This is a tremendous power but clearly someone needs to wield it. The least you would expect is that the person whose discretion makes the difference between criminal action or otherwise — and consequently for a politician, irrespective of guilt or innocence, the difference between the termination of a career or its continuation — is impartial and appears to everyone to be so. Our Constitutional Court has already found the presence of Silvio Valletta very much out of order in this respect. In a case filed by the family of Daphne Caruana Galizia, the court found their fundamental human rights were breached by the mere fact that Silvio Valletta headed the investigation into her killing. And that’s because Silvio Valletta is married to a government Minister, Justyne Caruana. I wish them many happy years of marital bliss. But their espousal and the roles which the two of them hold in the context of power in this country is truly intolerable. You see political motivation in this country does not only boil down to scoring points for Labour at the expense of Nationalists, or the other way round. Political motivation is often just as vicious, if not worse, within the same political party, within the same constituency. And the titanic tension between Justyne Caruana and Anton Refalo in the thirteenth electoral district is legendary. Up to the 2017 election Anton Refalo was Minister for Gozo. At that election he was the most popular voting magnet for Labour Party electors in his district. But at that election he was denied the Gozo Ministry which was instead bestowed upon Silvio Valletta’s wife, Justyne Caruana. Anton Refalo is known not to have taken this lightly. For some time he was hinting he might quit politics altogether and resign his Parliamentary seat. He then changed his mind and was appointed to chair the Heritage Malta Board as part of this administration’s anti-democratic practice of appointing all backbenchers supporting it in Parliament to a salaried public sector position. Now Silvio Valletta’s decision to proceed against Anton Refalo may have had nothing to do with his wife’s political rivalry with him. But how can Anton Refalo know that? He must wonder also how is it the press got to know he will be facing charges when these haven’t actually been issued to him yet. He knows better than anyone that he’s not only facing criminal consequences for the altercation with his son (for which he quite likely feels morally justified) but he’s also being politically stitched up with the media circus that went with the news. How can he be sure that justice is being served fairly in his case? Or rather how can he be sure that if he had not been the political rival of the wife of the chief of the Criminal Investigation Department he would not still benefit from the effective immunity from any criminal action enjoyed by Joseph Muscat and his friends? It’s a lesson people often refuse to learn until it’s too late. That when they condone the unequal application of the law because they feel they’re not effected by it, at some point they may find that they’re on the wrong side of that discrimination. All those tagħnalkollers who think they can walk the earth like gods, above the application of the law, can perhaps learn that one day the people that bent the rules to help out their friends might find they are not a good enough reason for yet another exception. And Adrian Delia, from across the aisle, must be looking at these unfolding events with more than a little nervousness. He is especially vulnerable to a police force that clearly withholds or initiates action on the basis of narrow political interests. And they’re unlikely to have his interests at heart when they make their move. Anton Refalo is figuring that out right now. Anton Refalo is an angry man today.